Searching for the best kitchens Clayton homes like to show off? AOK Kitchens has the answer, as we’re the ones behind them! We’ve been operating for more than 20 years, providing the best kitchens and cabinetry to homes across Melbourne. As a result, we understand what you want from a new kitchen that has to keep up with modern life. The demands of today’s life have grown considerably over recent years and many homes aren’t able to keep up. By combining our creativity and experience, we provide kitchens in Clayton that are beautiful, functional and unique to you and your home. All kitchen renovations in Clayton are big jobs but we aim to cause you the least amount of disruption during the process, so you can get on with your daily life – but we won’t compromise on quality, so you can be sure of a great finish when it’s done, making it worth the wait. 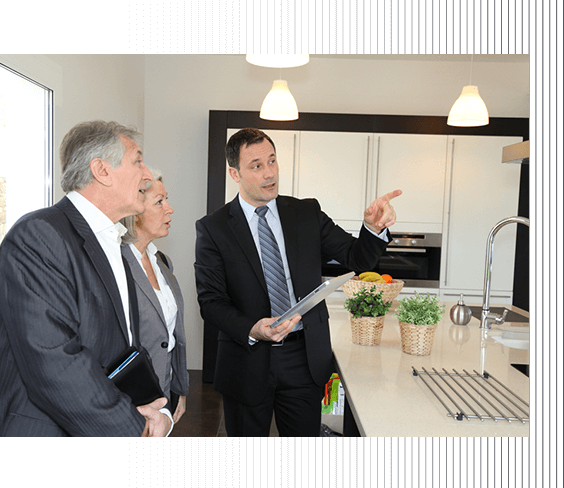 By working with you from the start, our experts will work out just how your kitchen renovations in Clayton will go, providing a timeline to follow and keeping you informed at each stage. Combine this with our amazing selection of quality cabinets and you can be sure of a perfect look for your kitchen that’s also functional. For further peace of mind, each product we produce is covered by a seven-year builders guarantee. For the best kitchen design Clayton locals recommend, look no further than AOK Kitchens. We use or wealth of experience to ensure that your new kitchen is going to be exactly what you need. With highly skilled carpenters and joiners ready to get to work on your project, we can accommodate any kind of job and it all starts by sitting with you to work out what you want. To ensure you get the quality you expect, only premium materials are used on your new kitchen, and this is matched by the best equipment available. Our reputation across Melbourne is something we’re proud of and it’s why you can trust us to provide the best kitchen design in Clayton – as it’s a reputation we don’t want to lose! To find out more about the best kitchen design in Clayton, get in touch with AOK Kitchens today. Contact us online or call us on 0413 345 341 today.